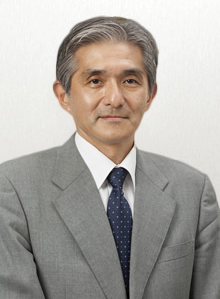 ﻿ Investor Relations : Message from the Management : Message from the CEO｜Japan Display Inc. Wish to express our deepest gratitude and appreciation for your various supports on Japan Display Inc (JDI). Looking at JDI business, we develop, design, manufacture, and sell "display" where it is necessary for the interface that deliver a lot of information at an instant and deliver it to the global market as the world’s leading company. And, in July 2018, based on new corporate philosophy, we will continuously do our best towards the challenge as a new display company. we work constantly to realize a world that is inspiring and free of stress. We shape our future with every movement we make. you can see, hear, touch, smell, and taste. We welcome challenge, and always bring customer tasks to completion. We move quickly with unconventional ideas, and strive to exceed expectations. We adapt to enjoy and drive positive change. Starting with new corporate philosophy, in response to the intensifying competition in the smartphone market, the company brought FULL ACTIVE, a liquid display with narrow bezels on all four sides of the displays with LTPS (Low-Temperature Poly-Silicon) technology, to the market. And, promoted development aimed at the further evolution of development of OLED displays, which use proprietary JDI technology and have excellent resolution and productivity. Moreover, we start the enhancement of development for automotive business (No.1 share in ww market) which will be the center of future growth strategy, also for the non-mobile business like industry equipment. We are also entering sensor business as a new business domein as well as it's acquiring new business position beyond display filed. A new [JDI] contributes to the realization of comfortable and abundant society, each and every JDI group member welcome challenge, and always bring customer tasks to completion, and with fresh perspectives as well as advancing technologies we work constantly to realize a world that is inspiring and free of stress. Thank you very much for your continued supports.